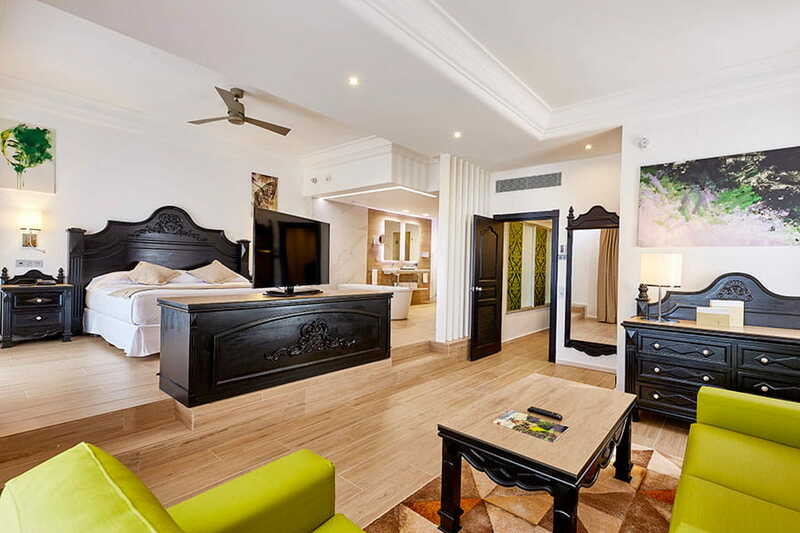 The Hotel Riu Palace Punta Cana has more than 600 rooms where you can enjoy the best amenities, such as satellite TV, a safe for your valuables, a coffee maker, a minibar with a beverage dispenser, a sofa, and a balcony or terrace, to name just a few. And, the hotel has three outdoor swimming pools, a children's pool with slides, and direct access to the beach so that everyone in the family can enjoy during their stay. 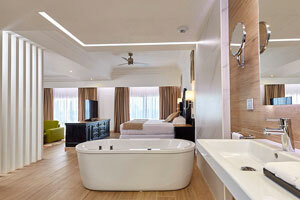 The Junior Suites at the Hotel Riu Palace Punta Cana are equipped with everything you need to enjoy an unforgettable holiday. 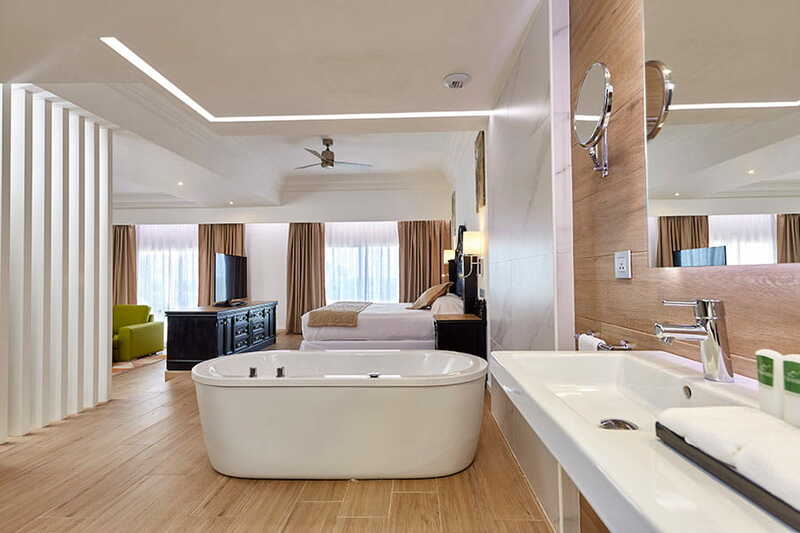 In these 35-m2 rooms, you'll find two small double beds (125x200 cm) or one king-size bed (200x200 cm), a sofa in the lounge area, a hydromassage bathtub, WiFi, satellite TV, air conditioning, a minibar and beverage dispenser, a coffee maker, and a balcony or terrace. 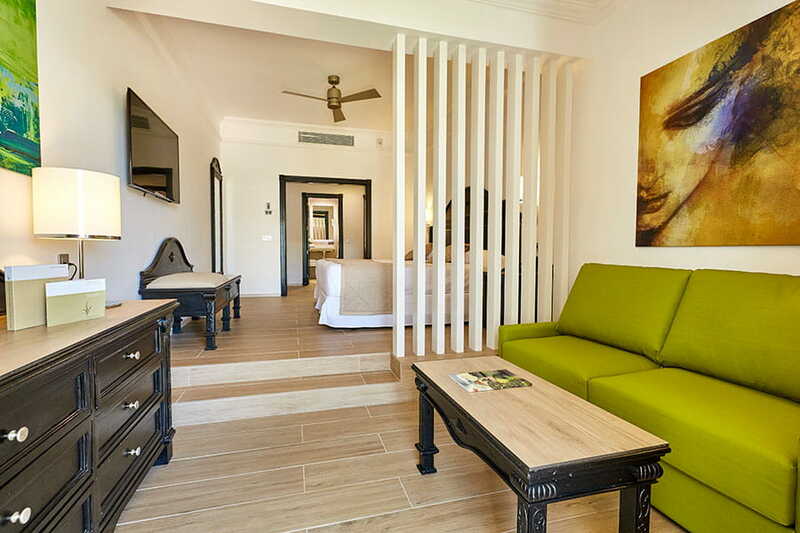 The Superior Junior Suites at the Hotel Riu Palace Punta Cana offer countless amenities for you to enjoy your stay to the utmost. 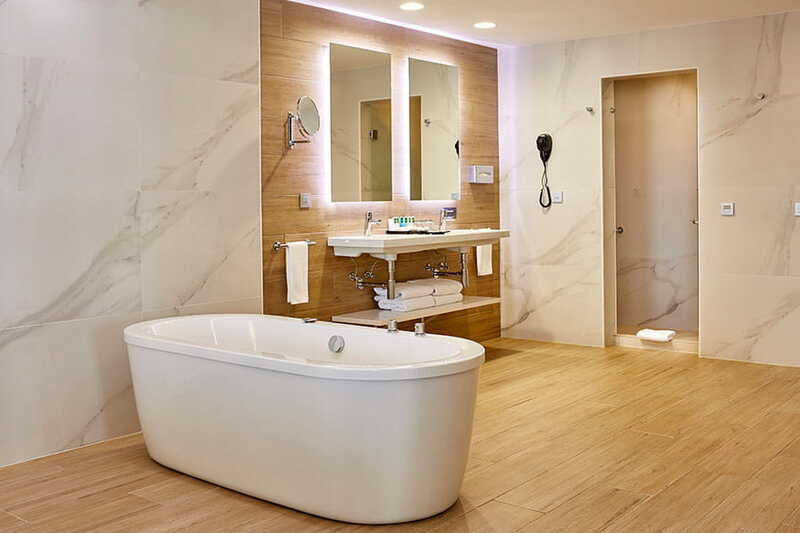 In these 35-m2 rooms, you'll find two small double beds (125x200 cm) or one king-size bed (200x200 cm), a sofa in the lounge area, a hydromassage bathtub, WiFi, satellite TV, air conditioning, a minibar and beverage dispenser, a coffee maker, and a balcony or terrace. 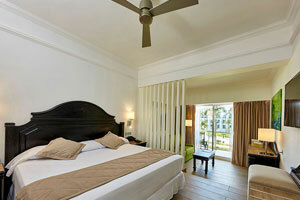 The Hotel Riu Palace Punta Cana offers you its Suites, 68-m2 rooms with the best services and amenities. 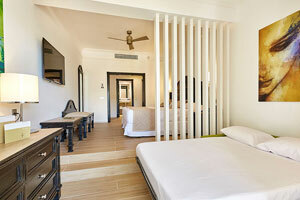 In these rooms, you'll find one king-size bed (200x200 cm), a sofa in the lounge area, a dressing room, a hydromassage bathtub, WiFi, satellite TV, air conditioning, a minibar and beverage dispenser, a coffee maker, and a balcony or terrace.